We see it every day at Fieldstone Farm. Our horses motivate, encourage and comfort. They help our students build confidence and strength, making a connection without saying a word. Their generous hearts and willingness to serve transform the lives of our students and their families. Every one of our students is unique with a different set of goals and abilities which makes individualized programming critical. This means taking into consideration the size, gait and temperament of a horse to match a participant’s needs. It means selecting adaptive equipment when necessary and, most importantly, it means listening to parents, therapists and counselors to design meaningful sessions that will improve a student’s physical and emotional wellness. Our instructors are the best in the business. They not only are highly trained and certified by PATH International, the association governing the therapeutic riding industry, they are passionate about working with people with special needs and helping them experience the therapeutic power of horses. Fieldstone Farm staff is trained to understand the diverse challenges facing people who have: autism, Down syndrome, learning disabilities, anxiety, depression, PTSD, cerebral palsy, developmental delays, multiple sclerosis, OCD, ADD, spinal cord injuries, blindness, hearing loss and many others. 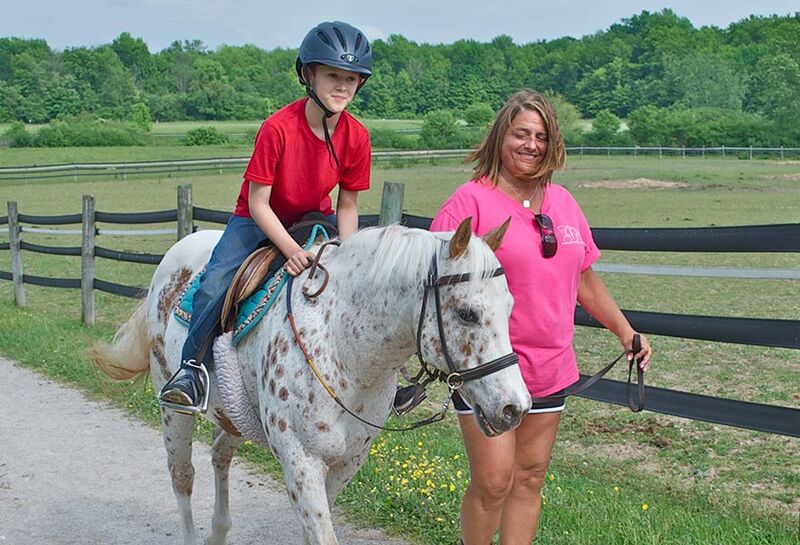 Therapeutic Riding – Our riding lessons are delivered by PATH International certified instructors and incorporate a wide range of therapeutic goals into each session. Individuals ride weekly in small groups of three or four students. 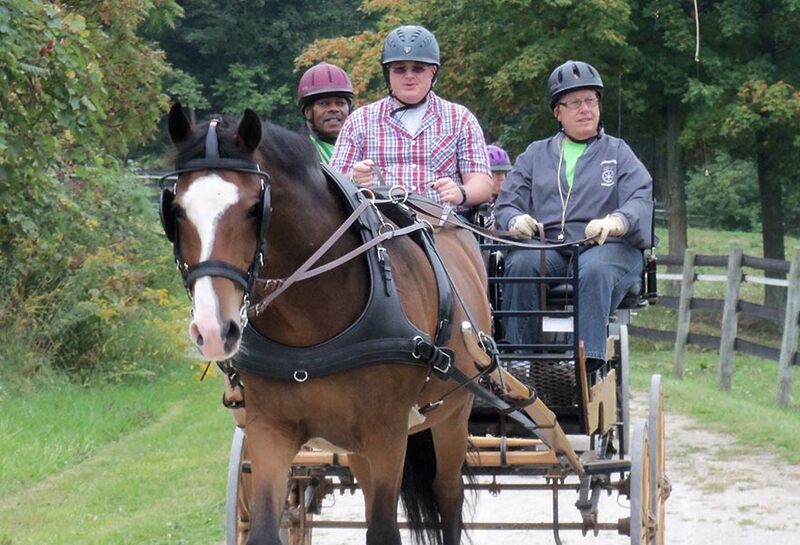 Carriage Driving – Students learn a variety of skills while navigating our wheelchair accessible, horse-drawn carriages with the help of a trained volunteer and PATH International certified instructor. Are you ready to become a PATH Certified Instructor? Fieldstone will host a PATH Workshop and Certification from August 8-11, 2019. We will also host a series of educational workshops February 25, March 25 and April 15. More details to come. 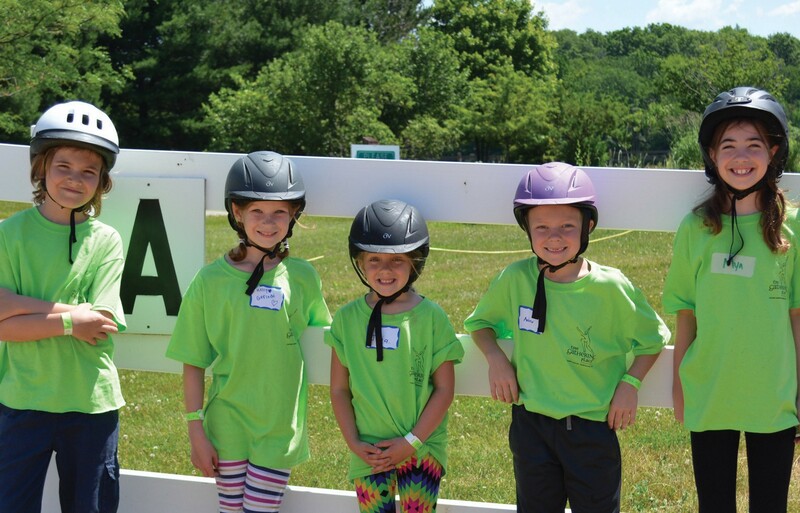 Barn and Classroom Programs – Fieldstone Farm offers a wide range of programming that, depending on the class, addresses emotional wellness, socialization, leadership skills, teamwork and horsemanship skills. Veterans Programming – Our specialized programming for veterans includes therapeutic riding, carriage driving and unmounted sessions designed to help with the emotional and physical challenges of military service. This program serves approximately 200 veterans making it one of the largest equine programs for vets in the country. Our ongoing partnerships with the Veterans Administration, Volunteers of America, Recovery Resources and Ohio Operation Military Kids have been instrumental in providing relevant and meaningful programs for our members of the military. For more information, click here for our Veterans brochure, or call Aviva at 440-708-0013. Summer Camp – Camp runs daily from early June through early August for children age 6-16 who are interested in an enriching, horse-oriented experience. 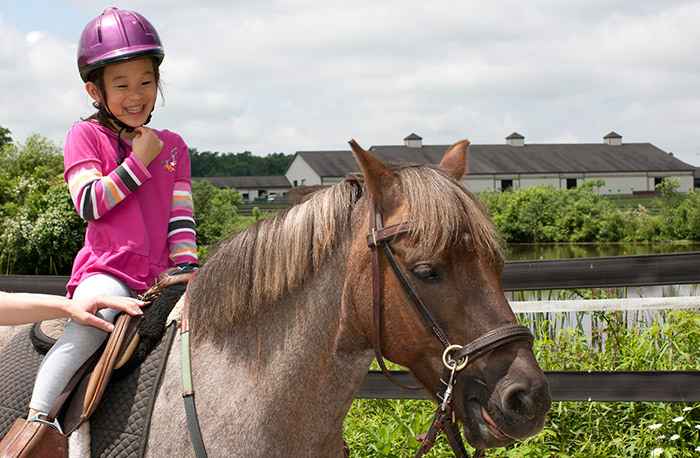 Campers enjoy outdoor natu re and art activities, horse care and horseback riding all with a special theme each week. For information on this year’s camp, go to our camp page by clicking here. If you have questions, please call Winni at 440-708-0013, ext. 146. Alternative High School – Gaitway High School is an alternative high school administered by the Geauga County Educational Services Center (GESC) for students from any school district who need a non-traditional school setting. Students receive a full academic program which meets the Ohio Department of Education standards. In conjunction, a vocational education program gives the participants an opportunity to learn job and life skills. For more information, please click here for our Gaitway High School page.